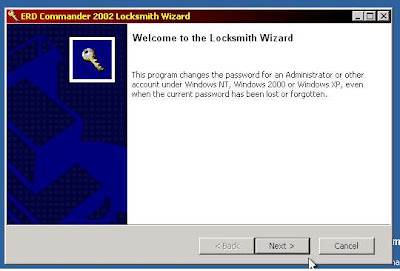 When Winternals launched ERD Commander 2005, it was the PC technician's best friend. It is still PC technician's best friend. What can ERD Commander 2005 do? ERD Commander, as i wrote earlier, is a set of tools used to repair PC refusing to boot(Be it Windows 98/ME/XP/2000/Vista). 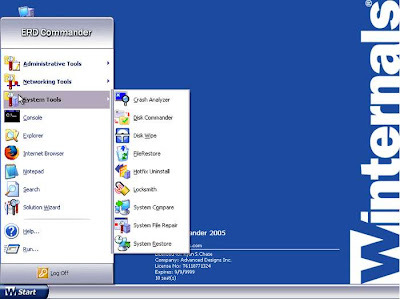 ERD Commander gives access to all the files on a non-working PC. With this, one can recover the precious files to other storage media. There are various tools which are the most important ones to take care of corrupted file system. Winternals(a company)once existed and it used to sell ERD Commander 2005 as it's product. Now, Winternals offerings are no longer available for purchase. Because, Microsoft purchased the company. Once you get the file, unrar it and burn the image iso file into CD using NERO BURNING ROM or any other ISO to CD burning software. The burnt CD will be bootable and you'll be able to boot from it. 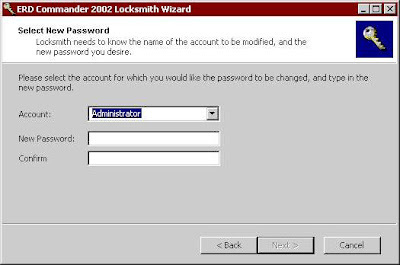 You can also use "ERD Commander 2005" to Reset the Window's XP's Admin or any other XP username passwords easy way.